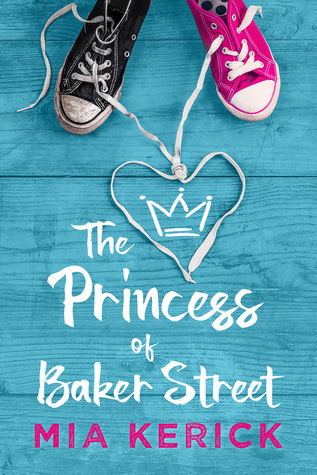 Welcome to the book blitz for THE PRINCESS OF BAKER STREET, a stand-alone young adult LGBTQ+ contemporary romance, by Mia Kerick. See below for information the book, buy links, an exclusive excerpt, and details on her giveaway. Always wear your imaginary crown” is Joey Kinkaid’s motto. For years, Joey, assigned male at birth, led the Baker Street kids in daring and imaginative fantasy adventures, but now that they’re teenagers, being a princess is no longer quite so cool. Especially for a child who is seen by the world as a boy. But when Joey finally accepts who she is and comes to school wearing lip gloss, leggings, and a silky pink scarf, the bullies make her life such a misery that she decides to end it all. Eric, in turn, must decide who he really is and what side he wants to stand on… though no matter what he chooses, the consequences will be profound for both teens, and they’ll face them for years to come. “Damn it to hell and back,” I mutter, but not loud enough for Ms. Paloma to hear. And for the record, I don’t feel as guilty for swearing as I used to because Grandma’s gone, and she was the only one who cared. And if there’s ever been a good time to say “damn it to hell and back,” it’s right now. But I’m the kind of guy who follows the rules, so I toss my backpack over my shoulder and head to the front of the classroom where Joey’s sitting with the other brainiacs and their new dumb partners. “Hi, Eric,” he says. I look away but can feel Joey gawking at my face. He’s probably hoping to catch my eye and use his bewitching blue-eyed stare to hypnotize me into longing for the stellar best friendship we used to have. And the sad fact is I haven’t really talked to Joey since two summers ago. “Hey, Joe,” I mumble. I call him Joe, even though in my head, he’s still Joey. Joe sounds more grown-up. And less girly. Princess! You used to call him Princess! my insides scream, but I tell them to shut the hell up. “So I guess we’re study buddies now,” he says. I can hear the smile in his voice. My belly tightens into a ball and rolls over. This situation is risky. “Looks like it.” I’m fairly sure he’s still watching me, but I decide it’d be better for both of us if I don’t make eye contact with him at all. As in never during this entire semester. Because when I see those sparkling blue eyes, I feel guilty and rotten… and some other stuff. Whatever.